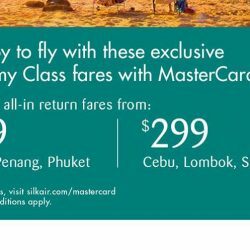 Till 22 Apr 2018 SilkAir: Enjoy Mastercard Promo Airfares from $119 to Phuket, Penang, Kuala Lumpur, Cairns, Hiroshima & More at Junction 8 Roadshow! Now you can match the joy of saving with Mastercard® fares from $119 to Phuket, Penang and Kuala Lumpur! 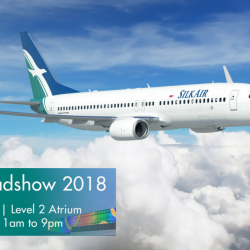 Come on down to the SilkAir Roadshow at Bishan Junction 8, 16 to 22 April 2018, 11am to 9pm for promotional fares to more than 40 exciting destinations! It’s never too early to plan your next getaway. 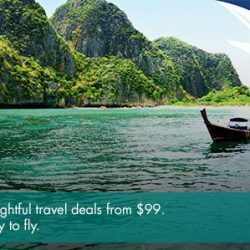 Especially with SilkAir's early bird all-in fares to 40 popular destinations starting from $136! Book your tickets by 31 March 2018. 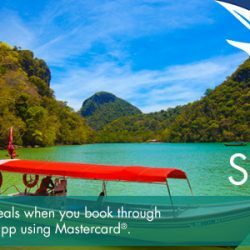 Book by 5 Jun 2017 SilkAir: Enjoy special Mastercard® deals from SGD 129 when you book via the SilkAir Mobile App! Discover a joy to fly right at your fingertips. Simply swipe, tap to search destinations, book flights, check-in, manage your upcoming trips and more. Bringing you greater flexibility and convenience even while you're on-the-go. 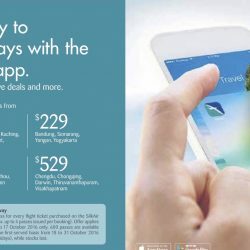 Download the SilkAir Mobile App now on your iPhone, iPad, or Android phone! Enjoy special Mastercard® deals from SGD 129 to Medan, Phuket, Kota Kinabalu, Shenzhen, Wuhan and more when you book via the SilkAir Mobile App by 5 June 2017! 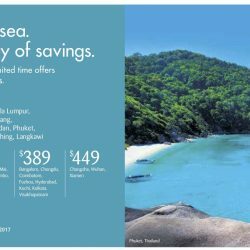 Book by 22 May 2017 SilkAir: Limited Time Offer with All-in Return Fares from $139 to Kuala Lumpur, Penang, Medan, Phuket, Kuching, Langkawi & More! Sun, sand, sea. And the joy of savings. 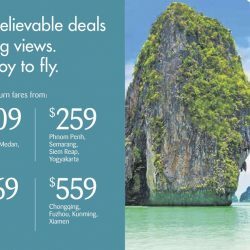 SilkAir has announced special limited time offers on exciting destinations. Enjoy all-in return fares from $139 to Kuala Lumpur, Penang, Medan, Phuket, Kuching, Langkawi and more from now till 22 May 2017. 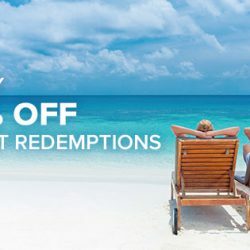 Book your holiday now! 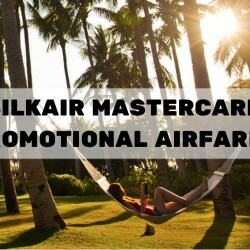 Visit SilkAir Roadshow from 10-16 April, 11am to 9pm at Bishan Junction 8, Level 2 Atrium, to enjoy exclusive Mastercard® all-in return fares from $99. There will also be prizes to be won! Start 2017 with a trip to your favourite destination in Asia. 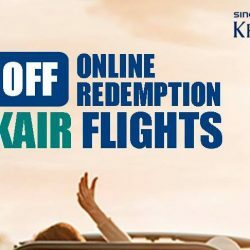 Book your getaway now with an American Express Card on SilkAir with exclusive all-in return fares from $189 to Langkawi, Penang, Phuket, Cebu & more! Book by 28 February 2017. Want a short holiday to a neighbouring city? 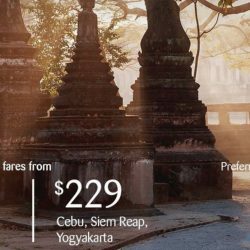 Check out SilkAir's Exclusive Minimum Two-to-Go Fares from now till 30 September 2016 for great savings now! Travel period from now to 31 December 2016. Want a short holiday to a neighbouring city? 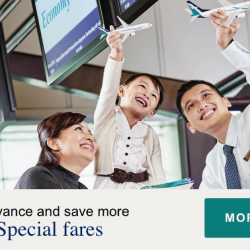 Check out SilkAir's Early Bird Special Fares from now till 20 September 2016 for great savings now! Travel period from 1 August to 17 November 2016. 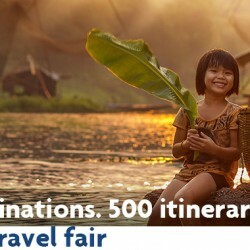 Visit the Singapore Airlines and SilkAir X UOB Travel Fair this weekend at Raffles City Convention Centre! Back again this year with more than 100 destinations and 500 itineraries, exclusively for UOB Cardmembers. Happening from 15 – 17 April 2016, the admission is free so see you there! T&Cs apply. 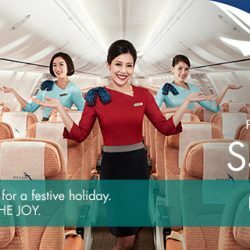 Travel to Langkawi, Phuket, Cebu, Phnom Penh, Chongqing, Shenzhen and more on Asia's most awarded regional airline, SilkAir! 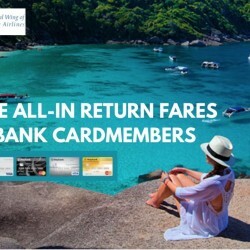 With exclusive all-in return airfares starting from $199 for MasterCard holders, dun miss this offer! Book by 21 March 2016! For the list of destinations and more information about the roadshow packages, kindly visit here or come down to their booth to find out more! SilkAir Century Square Roadshow Century Square Atrium | 15-21 January 2016 Friday 12 noon to 9pm Saturday to Thursday 11am to 9pm. Hope to see you there! Terms and conditions apply. 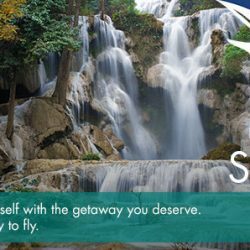 Explore new destinations and give yourself a holiday with SilkAir! Check out their MasterCard promotional fares from now till 14 January 2016 starting from SGD189. Promotional fares are only applicable with a minimum of two passengers using MasterCard. Enjoy the Roadshow at Century Square! Kick off the new year by planning ahead! 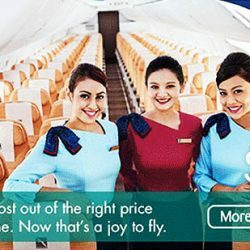 Visit the SilkAir Roadshow to enjoy exclusive packages and win attractive prizes. Watch this space for a chance to win yourself an exclusive goodie bag. Come to enjoy and receive a SK-II 5 piece giftset when you spend at least SGD$300 worth of SK-II products from our online store. This great deal is only valid for pre-orders online and orders collected during your flight from December 2015 – February 2016. For more details, do visit here. Happy shopping. Make this new year better than the last. Start this year with a holiday! 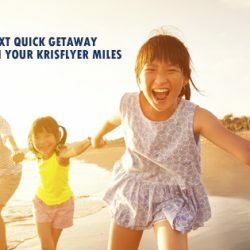 Check out Silkair's promotional fares for OCBC Card members to Boracay from $299 or to Kunming from $559 all-in return fares. Promo ends 14 Dec, 2015, for travel from 1 Jan 2016 to 31 Mar 2016. Minimum 2 to travel. Escape, renew and recharge with Maybank Cards. Now that's a joy to fly. Plan ahead for your holiday and enjoy exclusive all-in return airfares with your Maybank Credit/Debit Card. Only applicable on payments made with Maybank Promotion Code 489028703, till 31 Oct 2015 only.